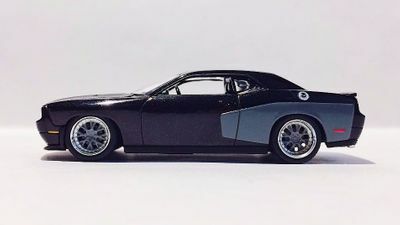 I Call My Challenger "The Happy Car"
It is with a great big smile on my face that I bring you the next Challenger of the Day! 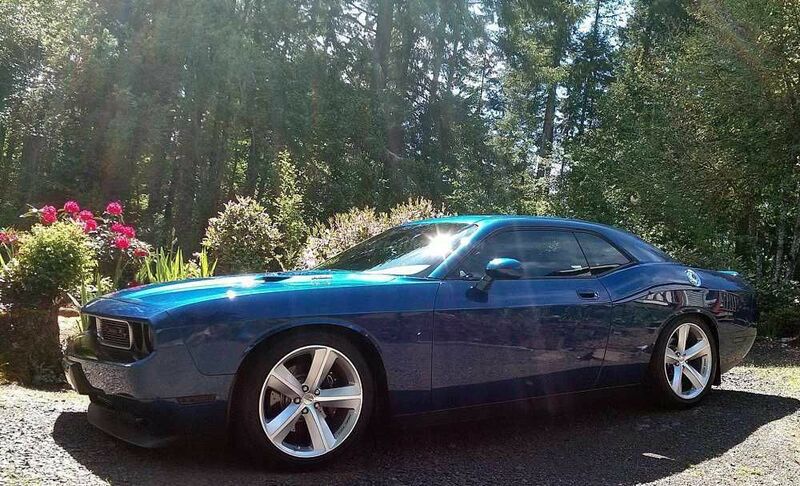 Just reading this story you can definitely tell how much this Challenger's owner loves his ride! I hope everyone enjoys reading this as much as I did. I love detailing and adding modifications. Sometimes the littlest things add the biggest bang for the buck. 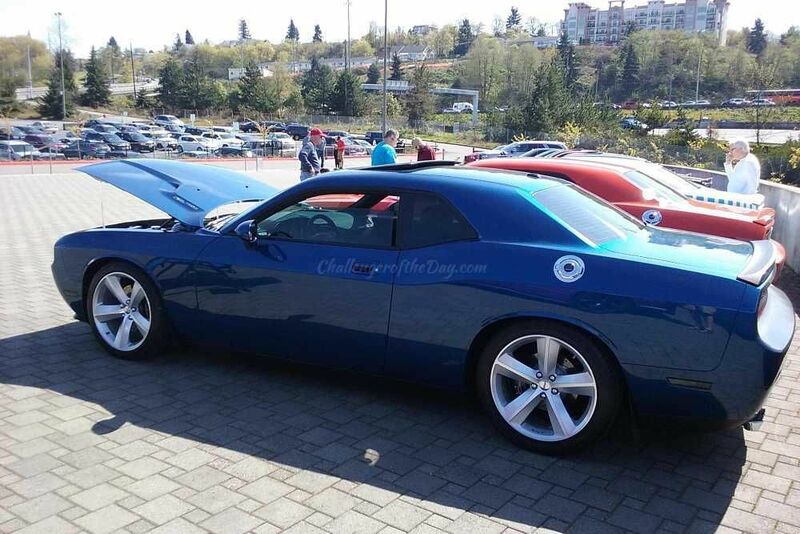 I list How-To’s and events on my Challenger Facebook page (PNW Dodge Challenger) and I help anyone out who asks! I am originally from Jacksonville, Florida. I moved to Washington State when I was five years old and have lived here ever since. It’s a great place to call home. I am happily married with three wonderful step-kids and currently live in beautiful Boston Harbor, Washington. 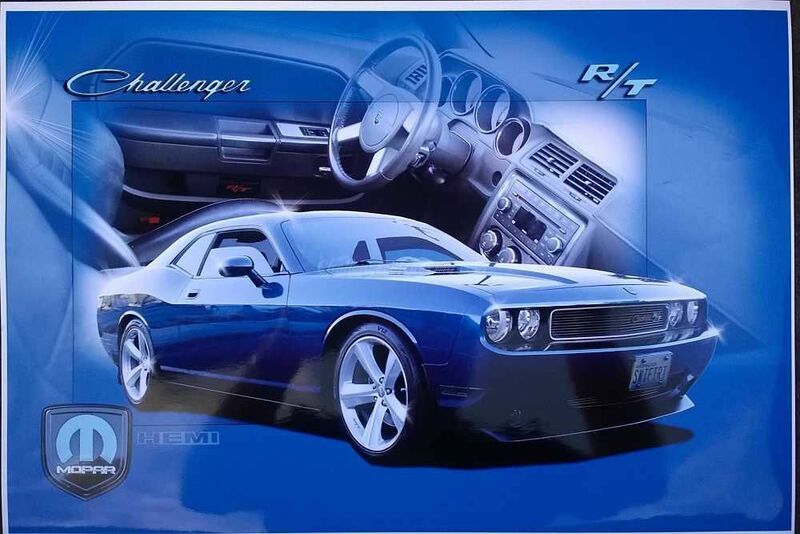 In 2009, you could not get an SRT in Deep Water Blue Pearl Metallic, so the original owner ordered every SRT option short of the 6.1 Hemi, Alcoa wheels, Eibach Pro 1.7” lowering kit with sway-bars, with leather stitched interior and a 6-speed which makes this one of only 450 made in this trim that year. Best of all, the price was $24,950. They did not know what they had! Since I purchased it, I have gotten rid of all the Ram’s heads in lieu of Mopar badges and emblems. 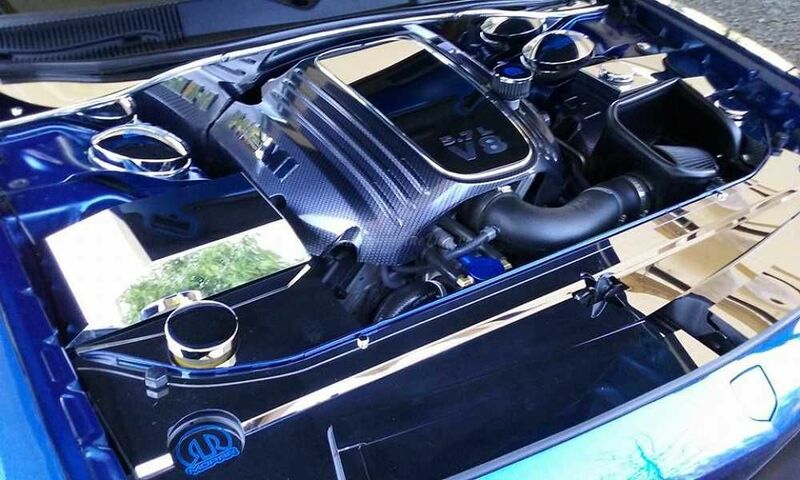 If you haven’t noticed from the pics I totally blinged out the engine bay with stainless steel, and I have won my share of car show trophies, been featured in Mopar Action Magazine, and featured not once, but twice via #mymuscle car on Mecum Auctions. Doing the install of all the engine bay stainless steel was the most difficult part of the modification, this stuff scratches when you breathe on it! I was very careful and took about a day and a half to accomplish it. 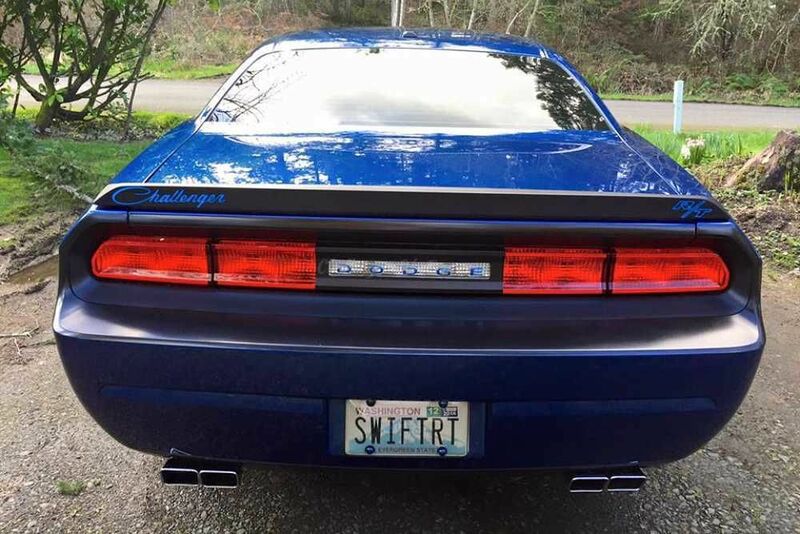 Not bad for a daily driver with 91,400 miles on it, with no garage in Washington State! I am about finished with the modifications for now. I am being a little more selective about the events and car shows this year. My greatest memory was the first day I purchased it on May 11th, 2012. I met my wife in Olympia, Washington at a restaurant, and before I could ever park a group of twentysomethings’ mobbed my car. I ended up taking all of them for a test drive. 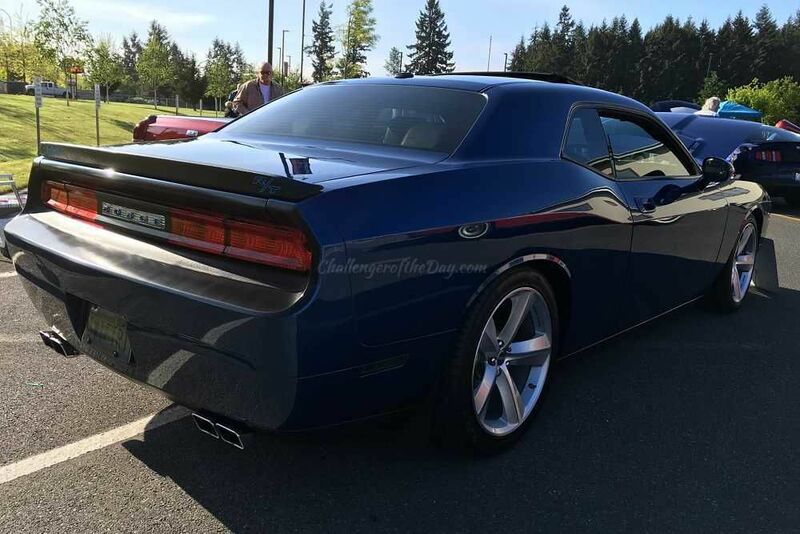 I call my Challenger "The Happy Car" because whether you are looking at it, sitting in it and especially driving it, you have an ear to ear grin! I wouldn’t own anything else and I never even look at other cars. The biggest surprise people get is when I tell them that this is my daily driver, they are even more surprised when I tell them that it doesn’t sit inside of a garage. My best advice is to treat your car like it is new every day. Nanoskin or clay bar it at least twice a year and take the time to clean, wax and vacuum it. 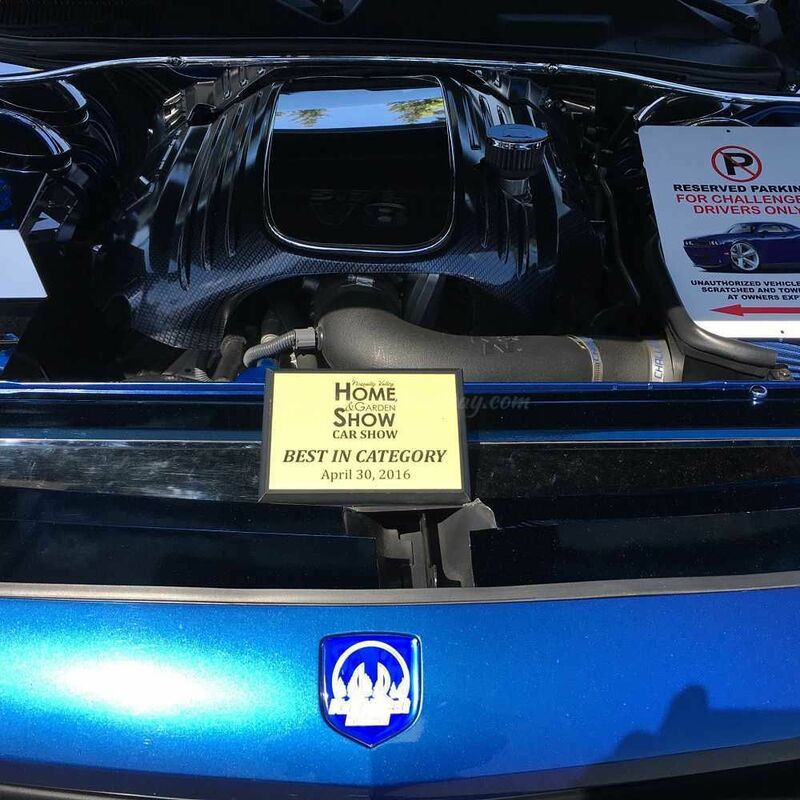 At least two hours are spent a day during the car show season, but it never gets old. Think you have "The Challenger of the Day?" Click to Submit Your Challenger Story Today! Check out some of the other photos of "The Happy Car!" Make sure to check out some of the previous Challenger of the Days that have been showcased on our website. Enjoy! It is with great pleasure to introduce this week's Challenger of the Day! This is a story about how one couple was able to live the "American Dream" through their 2015 Dodge Challenger SXT. 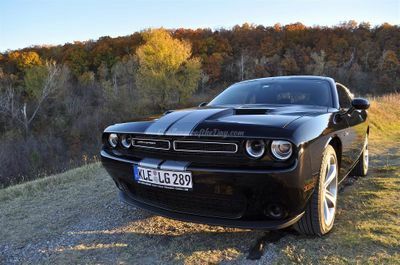 Please enjoy this Challenger story! This is a story written by Natalie G.
Every day brings new Challengers. At least that's how I heard it! And this Challenger of the Day is no different. 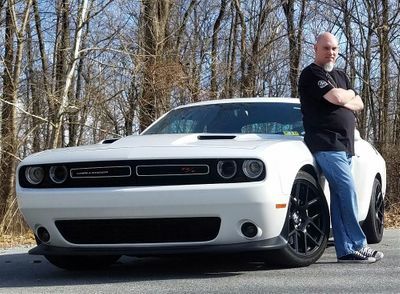 Please enjoy reading about how this next Challenger helped Dan through his tough times and healing process. This is a story written by Dan Oldham. Click the icons below to share the Challenger of the Day on your social media pages.